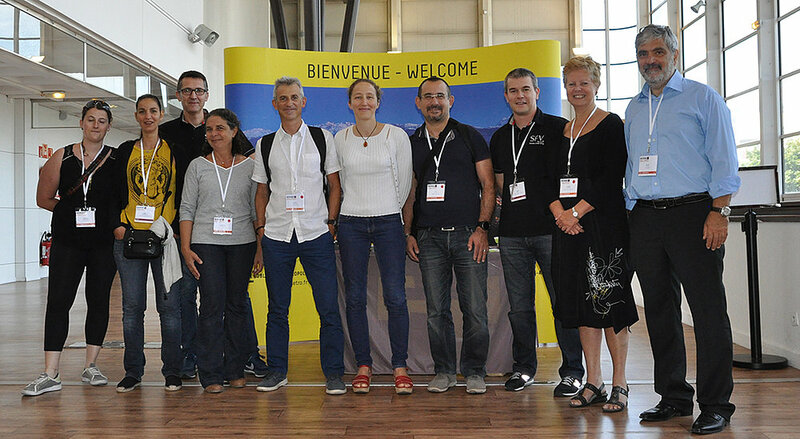 The 32nd edition of the ECOSS conference series was held in Grenoble from the 28th of August through the 2nd of September at Alp’expo. This conference is organised annually and gives the opportunity to European and world wide researchers to discuss about the most recent findings concerning the surface and interface properties of solids. This year 500 people coming from 36 countries worldwide convened to Grenoble to participate to this event. 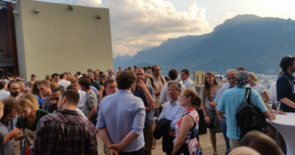 The venue has been organised jointly by the ESRF, ILL, CEA and the Grenoble Alpes University with the support of the Société Française du Vide. 5 sessions run in parallel for the whole week to cover a broad range of topics from graphene to molecules on surfaces, from surface magnetism to oxide surfaces and interfaces. Even though this conference does not deal with thematics specific to neutrons and synchrotrons, ILL and ESRF have a strong impact in surface science as it could be noticed by the large number of lectures which referred to data collected mainly at the beamlines of the ESRF but also at the ILL. 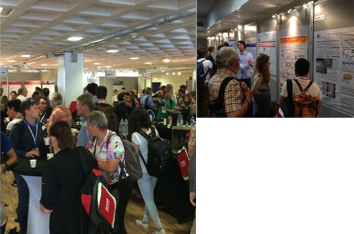 The ILL and ESRF also had a stand at the conference and this was a good occasion to show to an important part of the European community what the these large facilities are doing and to describe the projects for the future. Many thanks to Gary Adams (ESRF) for manning the stand throughout the week.